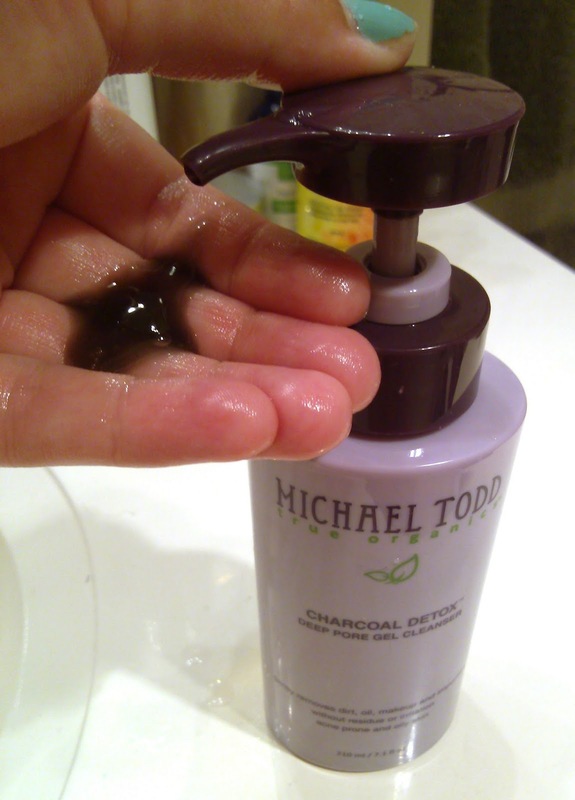 The Charcoal Detox Cleanser by Michael Todd uses activated charcoal to absorb toxins, unclog pores, and remove impurities from the skin. It also contains organic aloe with maple and sugar cane to provide gentle exfoliation while neutralizing PH and cleansing without over-drying. Plus, tea tree and other essential oils help heal blemishes, prevent acne, and treat different skin issues like rosacea. This tearless, sulfate-free formula is recommended for acne prone or oily skin but it also works for any skin type. I personally have combination skin - oily in t-zone and dry and red in the cheeks. Ever since I started using this cleanser, my skin has balanced out completely. My cheeks are no longer red and dry, and the rest of my face is less shiny. I also noticed after just days of using it that my skin felt SO soft. Like, as soft as it used to be in its prime. I love it! The large 7 oz pump bottle is a cute purple design and sits right next to my sink - It makes washing my face so much easier to just use the pump. The cleanser comes out as an opaque black-ish gel but once you start to exfoliate with it, the gel becomes clear. It doesn't really have a scent that I have noticed, and it's completely gentle on my sensitive skin. I've been using it for weeks now and have maintained clear, soft, smooth and balanced skin the whole time. It's made of 70% organic ingredients. I'm very impressed with Charcoal Detox Cleanser and highly recommend it. Charcoal is such a versatile ingredient. Would love to try this!